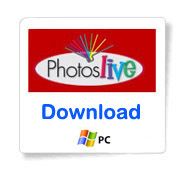 PhotosLIVE® Software is a purpose designed fully featured software suite for the design of photobooks and Corporate presentation books. 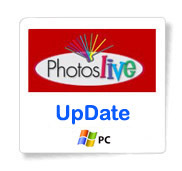 Designed for touchscreen kiosks or PC, PhotosLIVE® is an intuitive, powerful and fully featured system. Theme editor engine gives you complete access to personalise the software to your own design. Album themes, page background image, clipart libraries and any other products can be added/personalised by you. No click rates. - Save a half completed album to USB/PC for future reloading and completing. File transmission takes place automatically in the background on completion of the album. User can immediately reuse PC or other tasks. Ftp server information is encrypted to prevent home users from changing it, thus guaranteeing the file is transmitted to the shop.